Clump #151: Purge paper pile number ten of twenty-eight. 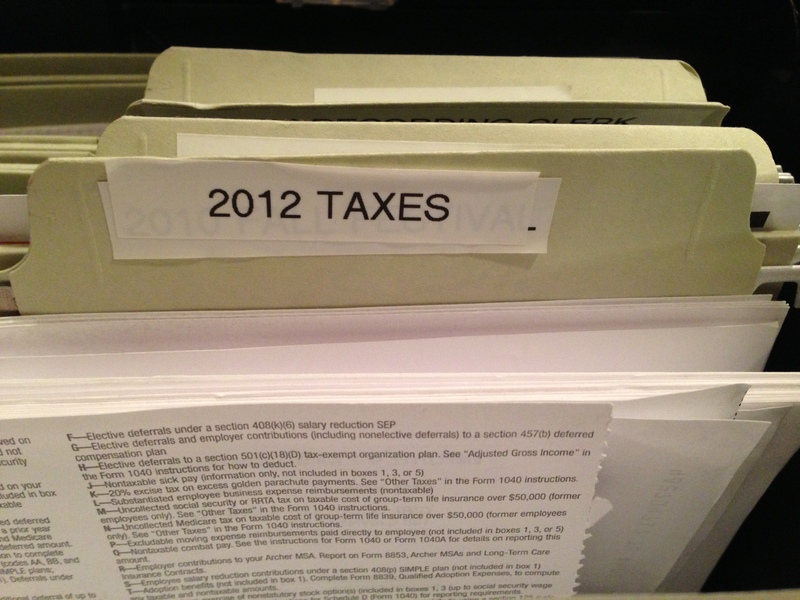 Most of pile number ten of my project was easily filed in the 2012 taxes folder. Why had 2013 been efficiently taken care of, and not the year before? A mystery we may never solve. 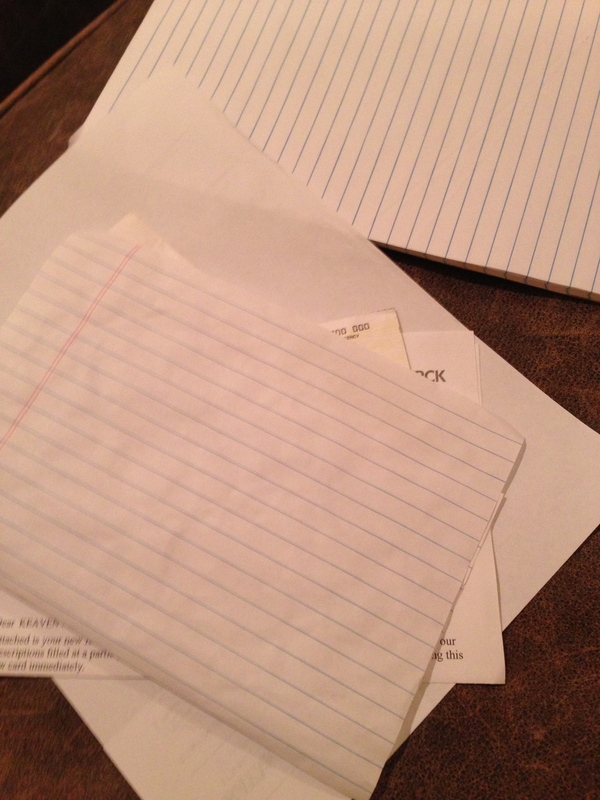 My younger daughter had sorted a few other items into this pile, and one paper was clipped to an — empty — legal pad. YAY! Easy peasy. Once again, the idea of confronting the chore was worse than the reality. So often you hear people say, “Do what you love.” But “Love what you’re doing” makes so much more sense. It might just be my new mantra. There are unsavory parts to even dream jobs. 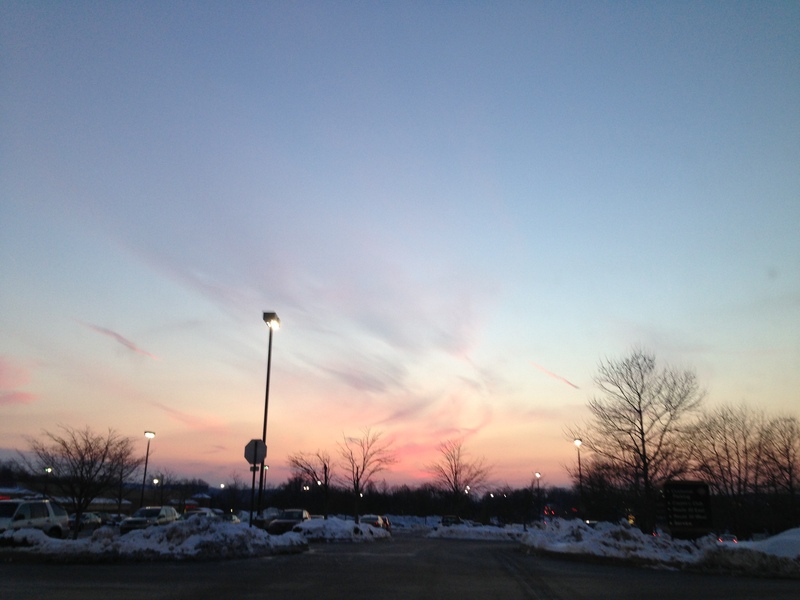 Mundane shopping today was imbued with beauty in that frame of mind. What’s not to love about this sky? Love what you’re doing … letting go of fear and skating through one pile at a time. Thanks for posting this! I was just thinking about loving what I do and finding that that is the reason I give myself for doing some of the things I do. No matter what good there are, if I love doing them their meaning will come later. Great point! Thanks for sharing your thoughts! !